Is garlic safe during pregnancy? How many raw garlic cloves can a pregnant woman eat? What are some benefits of eating garlic during pregnancy? 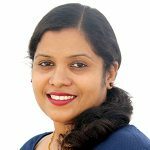 What are some side effects of garlic during pregnancy? What are few pregnancy-friendly Garlic recipes? Did you know that garlic doesn’t just add flavor to foods, but also holds amazing medicinal properties? This is the reason garlic is one of the many foods that women wish to have during pregnancy. But can they? That is a big question that MomJunction answers. We would discuss the safety concerns around garlic and how it can be consumed. Garlic is considered safe during pregnancy provided it is taken in small amounts. It is safe to include garlic in early pregnancy diet as foods eaten in this phase will have lesser affect on the fetus compared to the subsequent trimesters (1). In the second and third trimesters garlic could lead to two main side effects – lower blood pressure and thinning the blood — when taken it excess. Therefore, it is advisable to consult your healthcare provider before including it in your pregnancy diet (2).Your doctor would suggest the amount of garlic to be taken. You can consume two to four fresh garlic cloves every day. This is equivalent to 600 to 1,200 milligrams (mg) garlic extract, 0.03 to 0.12 milliliters (ml) garlic essential oil, 5ml fluid extract, or 20ml tincture every day (3). You will also get garlic supplements in the form of freeze-dried tablets. These can be taken at a dosage of 400mg thrice a day. However, you should take your doctor’s approval before consuming garlic in raw or in any other form, to reap the benefits. Pre-eclampsia or high blood pressure is a potentially harmful condition that affects nearly one in ten pregnant women. Garlic cuts down the risk of this condition and decreases the chances of high blood pressure and protein levels in the urine (4). Research studies reveal that garlic helps improve the birth weight of babies who have the risk of being small or having a pre-term birth (5). Standardized garlic tablets lower the chances of birth complications (6). Experiments have shown that adding garlic extracts to placental cells stimulated growth. The enzyme activity that was reduced in abnormal pregnancy enhanced when garlic was included in the diet. The magic content in garlic, allicin helps reduce your cholesterol levels and keeps them in check. 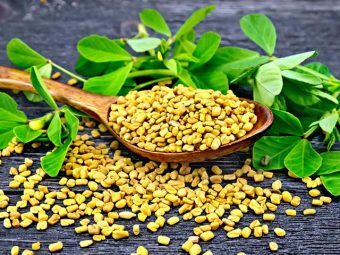 The same compound also helps thin your blood, preventing the risk of a heart attack or stroke (7). Eating garlic on a regular basis can protect you against certain forms of cancer, especially colon cancer. According to the US National Cancer Institute (NCI), research studies in China revealed that garlic consumption along with onions and chives is related to lowering the risk of esophageal and stomach cancers (8). 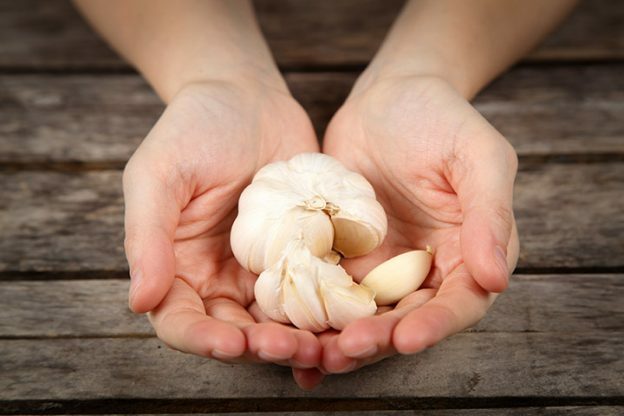 Garlic can limit the growth of harmful bacteria in your system and keep the immune levels healthy. It helps to fight away infections, including cold and flu (9). Allicin present in garlic has anti-fungal properties, which treat various vaginal yeast infections such as chronic candidiasis and yeast hypersensitivity syndrome (10). The antimicrobial properties of garlic are helpful as topical solutions for skin and mouth (11). Garlic contains a high amount of allicin that is a sulfur-based compound. It helps prevent hair loss and also promotes the growth of new hair (12). Garlic is beneficial when eaten in moderation. Do remember that overeating garlic could lead to a few side-effects. Garlic has blood thinning properties. This means that you could bleed more than normal, which could be a major issue especially during surgical procedures or cesarean section (13). Garlic supplements can interact with anti-clotting medications. They interact with insulin, and shoot up the levels, thus lowering blood sugar levels (14). Too much of garlic can upset your digestive system, and lead to stomach issues. In this case, you should see a doctor. Garlic is safe to consume when taken in small amounts. Below we give you a list of garlic recipes that are good for your health during this delicate time. 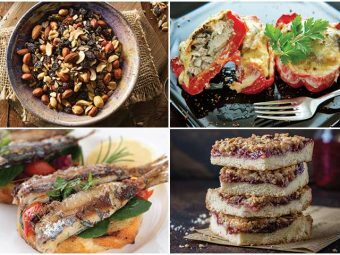 Once your doctor has given you the go-ahead to eat garlic in pregnancy, you can try the following recipes that contain a healthy amount of garlic. Cook garlic in heated oil over medium heat. Stir it for about two to three minutes until it turns golden brown and starts to give off its aroma. Once done, remove and reserve the garlic. Add cauliflower, broth, thyme, 1 teaspoon salt and 1/4thteaspoonblack pepper in the pot. Let it all simmer for about 15 to 20 minutes or until the cauliflower turns tender. Pour the mix into a blender and puree it to a smooth consistency. Now top with the roasted garlic and also add a drizzle of oil. Garnish with additional thyme just before serving. Boil water in a medium-sized pot, and add cooking oil, a pinch of salt, and snow peas. Cook for one minute and drain the water. Fry minced garlic in a wok and add boiled snow peas with salt and sesame oil. Stir fry and transfer immediately. Top it with toasted sesame seeds before serving. Add about ½ teaspoon oil and 1/4th inch of water to a baking dish. Roast the garlic until it turns tender but is still a bit firm. It should take about 30 minutes for the same. Once it is done, let it cool, and then peel off the cloves. Slice them up thinly and set aside. Add three cups of water in a pan and bring to a boil. Put the bread in a heatproof dish and pour water over it, so that the bread is completely under water. Let the bread stand in the water for about three to five minutes. Now put the bread in a colander and gently squeeze it to drain out the water. Once you are done, the bread will still be moist but there will be no water dripping from it. Break the bread into small pieces and place it in a bowl. Heat a tablespoon oil in a pan over medium heat till it starts to simmer. Now add the leeks, two tablespoons of water and ¼thteaspoonsalt. Let it cook partially and place a lid on top. Keep stirring occasionally until the leeks turn tender, but ensure they do not lose their green color. It should take about five to seven minutes for the leeks to get done. Add the leeks to the bread and add the sliced garlic, 1and ½ tablespoon oil, thyme, cheese, black pepper and the remaining ¼thteaspoon salt. Mix everything gently, preferably using your hands. Spread the mix in a baking dish and add the remaining oil on top. Bake it for about 30 minutes or till it turns golden and crisp. Speak to your doctor before you try these delicious and healthy recipes of garlic during pregnancy. 1. Are there any side effects of eating raw garlic on an empty stomach? Eating raw garlic on an empty stomach will not cause any side effects . In fact, the raw garlic will help lower blood pressure, and you would be less likely to catch a cold or infection (15). 2. Are garlic pills during pregnancy good? Garlic pills or supplements are useful in treating pregnancy-related blood pressure conditions such as pre-eclampsia and pregnancy hypertension. But sometimes they can also cause problems for you and your baby when taken in excess. Therefore, you should talk to your healthcare provider before planning to use garlic pills. 3. What happens if you eat too much garlic when pregnant? Taking too much of garlic can upset your digestive tract, and it can lead to stomach problems. If this is the case, you should discontinue its consumption and see your doctor immediately. 4. Can garlic terminate pregnancy or cause miscarriage? According to the book, Fundamentals of Pharmacology, consuming garlic at doses exceeding those in foods can lead to a miscarriage. Therefore, you should be careful about the amount you include in your food (16). Garlic is a store-house of benefits, but only as long as it is taken in moderation. Therefore, talk to your doctor about its consumption during pregnancy. Also, if you have any more concerns about garlic consumption during pregnancy, feel free to write to us in the comments section below. We will be happy to resolve your queries. 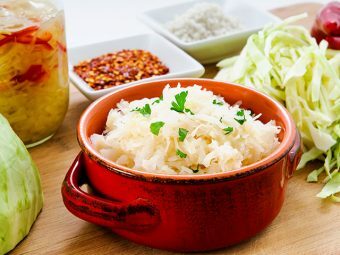 Is It Safe To Eat Cabbage During Pregnancy? 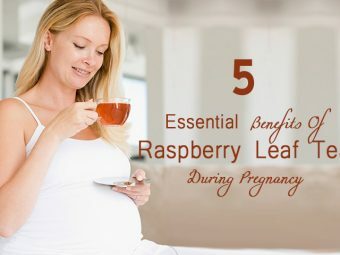 Raspberry Leaf Tea In Pregnancy: Does It Really Ease Labor? 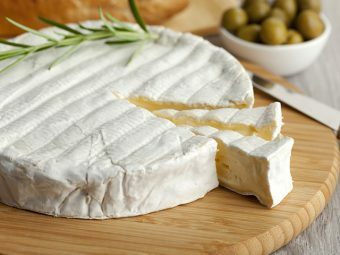 Is It Safe To Eat Brie Cheese While You Are Pregnant?